This theme was posted by PS3 Themes on November 20, 2007 at 2:10 am, and is filed under Gaming.You can leave a response or trackback from your own site. Only reason why I like this theme is because of the icons. The icons are great! Most everything that I would say has been said already. Icons rock, but this NEEDS an update. I only wish I knew HOW to go about making themes and had a machine that could run decent image editing software. I already know I’d replace the PSP icons with PSPgo’s and change the trophy icon to a grouping of the 4 trophies. this theme is pretty lame. nothing special about this. i dont know how this is the most viewed theme. there are a hell of a lot of other themes that are way better than this….in my opinion. A throwback theme for old PS3 fans, nice! Hi again! Heres the link to the updated version. http://www.ps3-themes.com/tech/ultimate-ps3-3-0.html 4 those lokking 4 the update. Great theme, however on the photo camera icon there are leftovers on the icon edges. This part of the icon should be transparent but it’s not. This is very visible on dark bg. this theme it’s the best but it needs a freaking update!!!! PLEASE!!!!!! its great, but try making the text READABLE and remove the remaining [?] 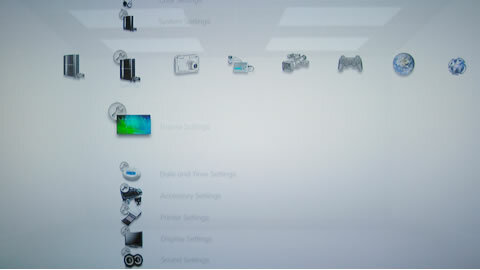 icons, then it’ll be perfect, and don’t use the PS3 icons but use the PS3-Slim icons, then it’ll be perfect!!! I cannot believe that there is no one on this website that can update this freaking theme. Nice, but so hard to read. Amazing theme. It’s a little sad that I’ve been using this theme for almost two years. But that just talks about the quality of the other themes.